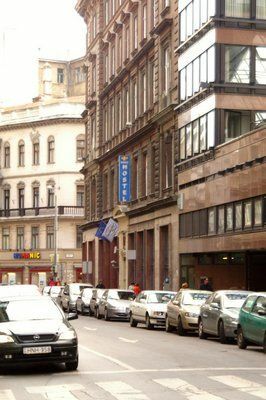 All Central Hostel is located at the heart of the city, between the central Metro station at Deák Ferenc Square, and the Danube promenade and Váci utca, just a few minutes walk from either one. All Central Hostel has it all - an outstanding central location, a range of spacious, dormitory and private rooms, clean, safe and modern facilities. We are also open round the clock and all year round. If you want to be within walking distance of everything, come and stay at the Central. 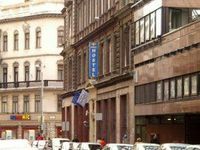 Everything you need for a convenient, inexpensive stay in Budapest. On our 4 guest floors, we have a range of dormitory rooms with shared bathroom facilities: 4-bed, 6-bed and 8-bed, as well as a few private double rooms which have en-suite bathrooms (except one of them). Our dormitory rooms have strong, comfy bunk beds and individual lockers. They generally have air conditioning, high ceilings and plenty of space. Each bed has its own designated locker, so you can keep your belongings safe. There are large separate male and female bathrooms on each floor. Should you book this room type for less than 4 persons, other guests may be accompanied in the dormitory as well. Should you book this room type for less than 6 persons, other guests may be accompanied in the dormitory as well. Should you book this room type for less than 8 persons, other guests may be accompanied in the dormitory as well.